Description: A prominent Colorado newspaper agency had a buildup of petroleum sludge in their oil water separator and trench drains at their truck maintenance facility in Denver, Colorado. 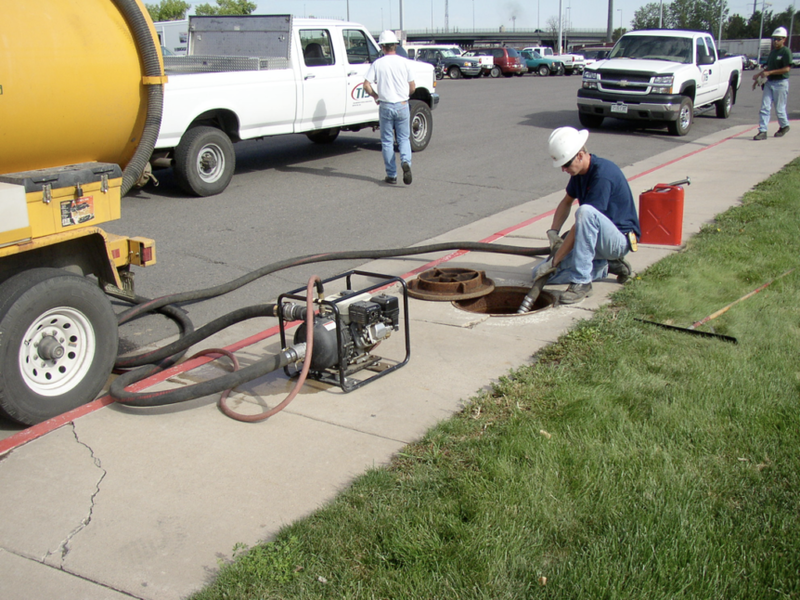 TIS was contracted to remove the sludge, and to provide jet cleaning service to clean out all the associated piping connecting the trench drains to the oil/water separator and from the oil/water separator to the sanitary sewer. First the trench drains were scraped clean to remove all solids that had accumulated. Next the trenches were pressure washed using TIS’ 3500 psi 6 gpm self-contained pressure washer. The high pressure jet cleaning system was then utilized to clean all piping back into the oil/water separator. 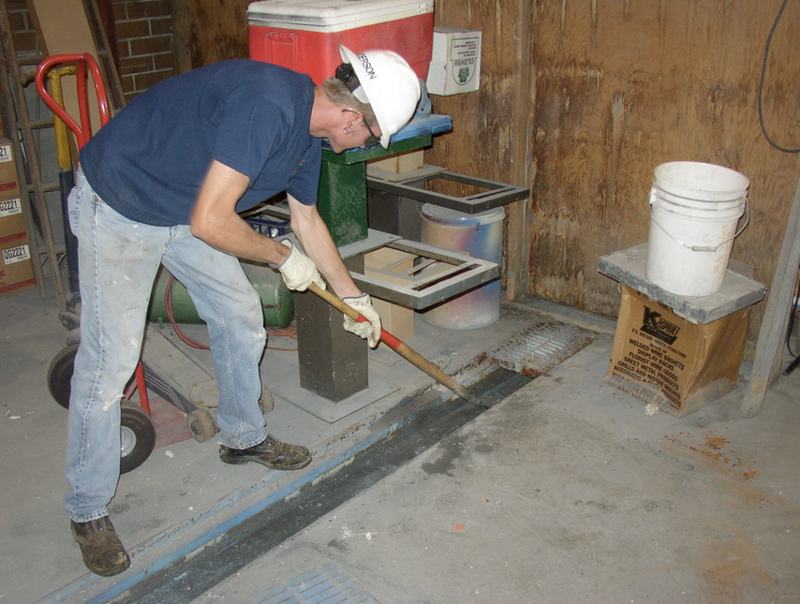 A mini-super sucker vacuum unit was used to remove the water and sludge from the oil/water separator. The water was pumped from the vacuum unit’s tank into the sanitary sewer inlet. The non-hazardous sludge had been previously profiled and was transported to an industrial non-hazardous waste disposal facility the client selected. Although a rather simple project, TIS gained the confidence of the client by working with them to find a low-cost solution to help them service this system and keep Denver Newspaper Agency in compliance with applicable sanitary sewer discharge standards.